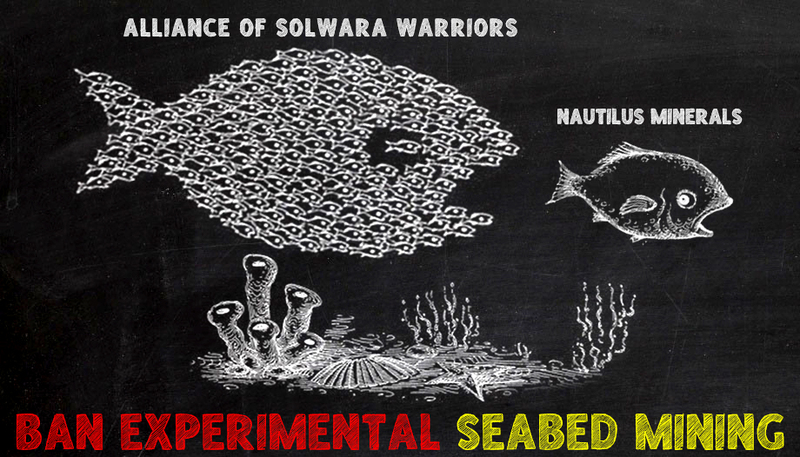 The Mineral Resources Authority (MRA) has received an objection by a non-governmental organisation representing impacted communities of the seabed mining project. The Alliance of Solwara Warriors represents impacted communities from New Ireland, East New Britain, Madang, Manus and Milne Bay. Spokesman Jonathan Mesulam told The National the group had lodged its objection against exploration licence 1196 (EL1196) in the waters off west coast Namatanai, New Ireland, and the Duke of York Islands, East New Britain. Mesulam said MRA had received their objection. He said MRA would conduct a stakeholder meeting for all parties to discuss their views. These included Nautilus Minerals, Conservation and Environment Protection Authority (Cepa) and National Fisheries Authority (NFA), Mesulam said. According to MRA, exploration licences are to be renewed every two years. Any stakeholder can protest against the issuing of an exploration licence. ExxonMobil Corp has shut its liquefied natural gas (LNG) plant in the wake of a powerful earthquake in Papua New Guinea’s remote highlands region that cut off roads and damaged buildings, with unconfirmed reports of 20 or more deaths. The global energy giant said communications with nearby communities remain down following the 7.5 magnitude earthquake early on Monday, hampering efforts to assess damage to facilities that feed the PNG LNG plant, the country’s biggest export earner. “Communications continue to be one of the most significant challenges,” ExxonMobil said in an emailed statement, adding that damage has closed the Komo airfield that serves its gas production and processing operations. Miners Barrick Gold Corp and Ok Tedi Mining also reported some damage to infrastructure, while the government said it had sent disaster assessment teams to the rugged region about 560 km (350 miles) northwest of the capital, Port Moresby. Chris McKee, director of PNG’s Department of Mineral Policy and Geohazards Management, said a local official told him that four people had died in the city of Mendi, while local media reports said some 20 to 30 people may have been killed. The disaster management office said it was verifying reports of deaths, but it could take days to confirm a death toll. The $19 billion PNG LNG project is considered one of the world’s best performing LNG operations, having started exports in 2014 earlier than targeted, despite the challenges of drilling for gas and building a processing plant and pipeline in the remote jungle of PNG. It has been producing at around 20 percent above its rated capacity of 6.9 million tonnes a year. ExxonMobil said it had shut the two LNG processing units, or trains, at the plant on the coast near Port Moresby after earlier shutting its Hides gas conditioning plant and Hides production pads in Hela province in the highlands region. Its partner, Oil Search, also shut oil and gas production in the quake-affected area on Monday. Gas is processed at Hides and transported along a 700 km (435 miles) line that feeds the PNG LNG plant, whose main customers are in Japan, China and Taiwan. Traders said the impact on the LNG market would depend on the length of the shutdown, but noted that spot prices have fallen recently as North Asia is coming out of the period of heavy winter gas demand. “The global LNG market is likely to respond immediately as the buyers need to seek alternative sources, and the extent of the impact would depend on when the plant re-starts operations after the shutdown,” said Beseok Jin, a research analyst at IHS Markit. 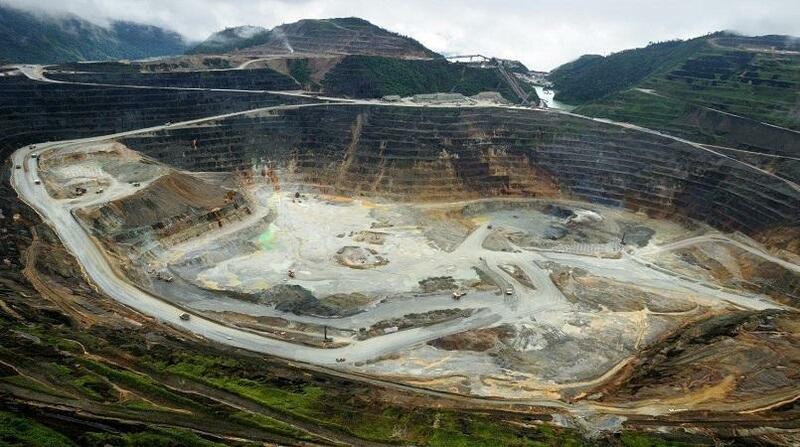 Barrick said a power station that supplies its Porgera gold mine had been damaged, while Ok Tedi said a landslip had blocked a road and damaged pipelines to its copper and gold mine in the Star Mountains. Electricity from the power station is mainly used by the processing plant at Porgera, which is co-owned by China’s Zijin Mining Group. State-owned Ok Tedi said on Tuesday it had restarted mining with a small workforce flown in by helicopter, but a restart of its processing mill would be delayed until several pipelines are repaired. A landslip blocking roads would likely take up to two days to be cleared, at which point mine operations would return to normal, Ok Tedi said by email. ALLUVIAL miners throughout the country will now be able to trade directly with buyers all over the world through a mobile phone application. The Mintrad app was launched in Alotau, Milne Bay, on Thursday during the Alluvial and Small Scale Mining Convention 2018. It is an initiative of the Mineral Resources Authority (MRA) and is a platform for facilitating trading of alluvial gold. Miners will be able to communicate with buyers, negotiate prices based on world market prices and get the best maximum selling prices. It is about making trade easily accessible to simple rural miners in the comfort of their own villages. The app will be upgraded and improved as trading commences and feedback is received from users. It was launched by Mining Minister Johnson Tuke and Esa’ala MP and Minister for Justice and Attorney-General Davis Steven. MRA managing director Philip Samar said the alluvial and small-scale mining sector was the mining sector’s small-to-medium enterprise. He said launching of the app was consistent with one of MRA’s main target this year, which was to develop the small-scale mining sector through awareness, funding assistance and appropriate technology. The staging of the convention was an initiative of the Esa’ala district development authority with the leadership and support of Steven. Samar commended Steven for his initiative and urged other MPs who represent mining districts to partner with MRA to develop the sector. 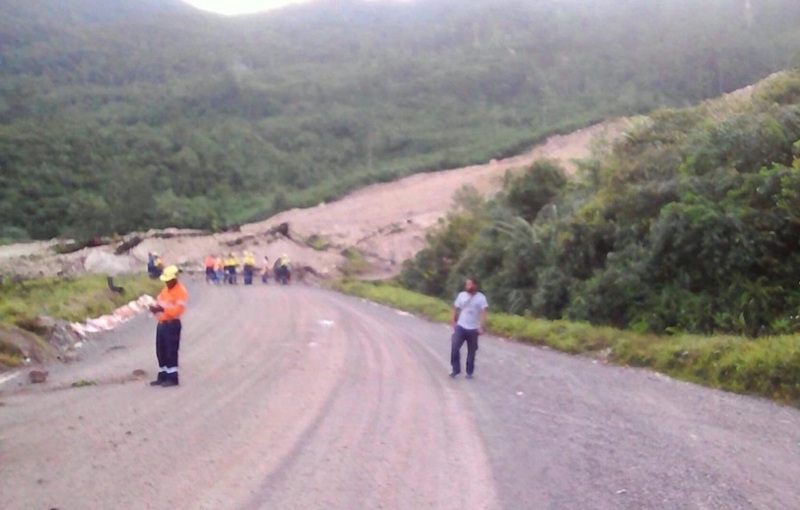 A landslip has blocked off the Ok Tedi mine access road following an earthquake that occurred in the early hours of yesterday morning. 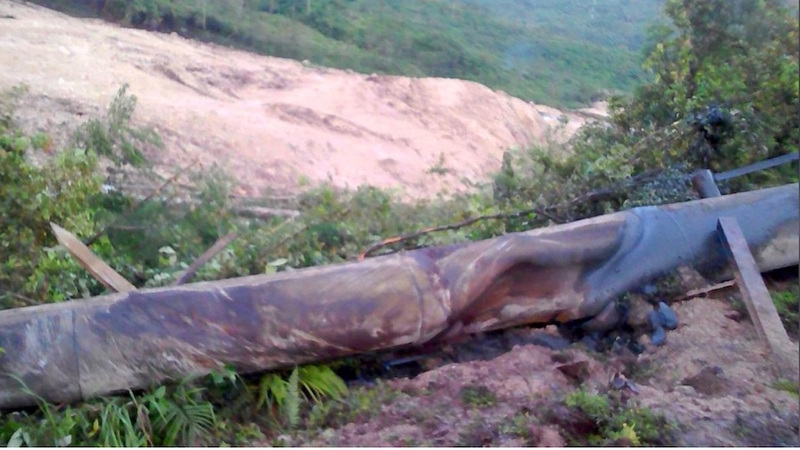 Ok Tedi Mining Limited confirmed that the landslip occurred on a section of the Tabubil-Mine Road in Western Province. Managing director and chief executive officer Peter Graham said no damages had been reported at the mill and mine or in Tabubil township, however, the nearby Bultem village had lost power and options for restoring power to the village were being evaluated. Early estimates were that it would take at least several days to clear the road to allow for normal traffic flow. Clearance would start this morning under strict safety provisions. In the meantime a skeleton crew will maintain inspections at the mill and mine, Mr Graham said. He said the highway between Tabubil and Kiunga had also suffered from a number of smaller landslips and cracks, limiting access to light vehicles only. Meanwhile, employees who worked the night shift at the mine and mill had been relocated safely back to Tabubil by helicopter, with all employees accounted for. Despite calls from the North Fly MP to investigate the sacking of more than 100 Ok Tedi Mining Limited employees, Mining Minister Johnson Tuke says he will not intervene with administrative issues. He said the sacking of these workers is a management issue. “I understand that it is grievances displayed by employees. They have a channel to go through,” stated Tuke. Minister Tuke says Ok Tedi Mining Limited has set guidelines and regulations on how to deal with issues that arise and both parties have to be guided by those processes. Meanwhile, OTML says it will not make any comments or statements on the matter. North Fly MP, James Donald, recently called on Tuke to immediately intervene and direct investigations into the sacking of a group of Ok Tedi Mine employees in Western Province. His call comes after the company management terminated more than 100 of its employees last Tuesday for staging a protest against the company. OTML said their industrial action was illegal as it did not follow the grievance process and was not supported by the union. They were served with termination letters on the evening of that same day (Tuesday) to leave. Donald said sacking of employees in that manner and in such big numbers was concerning as it was signalling something worse to come. The Chamber President, Gerea Aopi, said today the MRA has been a success story for Papua New Guinea and the Government. “The Chamber and the mining industry believe that the performance of MRA over the last decade is a credit to Government, and the excellent operating standards within the mining sector are an indicator of the good work of the regulator. It would be a tragedy for all mining industry stakeholders if this progress is lost,” Aopi said in a statement. The allocation and remittance of 35 percent of the annual production levies directly to the Department of Mineral Policy & Geohazards Management. Aopi said the initial impetus for the establishment of MRA was provided by the European Union, which decided after the severe 1997 drought that the strengthening of the regulatory regime for mining would contribute significantly to diversification of the PNG economy and help mitigate unexpected emergencies such as drought. An initial 50 million Euro grant (about K200 million) under a mining sector support program in 2002 led to the implementation of a range of projects and detailed discussions and planning between all stakeholders. This laid the groundwork for the establishment of MRA, which began operations in 2006. The MRA was also created so that it can be adequately funded, and effectively regulate an industry that was very critical to the PNG economy. 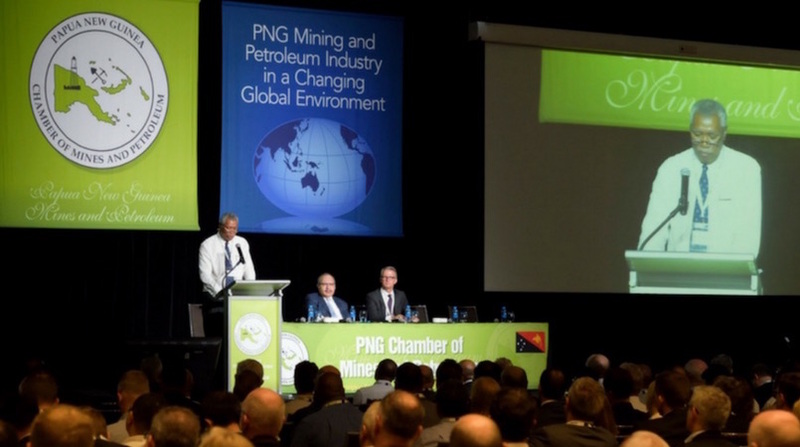 “Successive PNG Governments have benefitted from the independent role played by MRA in regulating the minerals sector, including the operational and safety aspects of PNG’s mines which have enable PNG mining operations to be benchmarked against global standards,” stated Aopi. Aopi said the doubling of the production levy was a de facto increase in tax and an additional burden on existing and future mining projects, even though the current levy has proved to be adequate for the funding of MRA operations. “The new Act will see 35 percent of the increased levy diverted directly for the use of the Department of Mineral Policy and Geohazards Management. These funds can also be used for State obligations under Project Agreements entered into by the State and for ‘development initiatives’ within project areas approved by the MRA Board. “The industry is gravely concerned the diversion of funding to outside activities may lead to a deterioration of MRA’s capacity. Aopi said for many years, successive Governments have reaffirmed their confidence in the MRA “model”. “Why are we making these changes now to weaken a very important Government body that has performed exceptionally well? The benefit of having an effective regulator over many years can clearly be seen in the professional way issues are managed in the mining sector. “Indeed, it is a working model that is being discussed by Government and industry to be applied to the oil and gas sector to help manage the issues impacting their operations,” he said. The Chamber is also very concerned about the Government’s delay in expediting an independent process to review amendments to the Mining Act as agreed to between Government and the industry. This was an important undertaking it made in 2017 to ensure changes to the legislation were fair and represented the interest of all stakeholders, including the Government. As a precaution, ExxonMobil PNG Limited had shut down its Hides Gas Conditioning Plant to assess any damages to its facilities, she said.